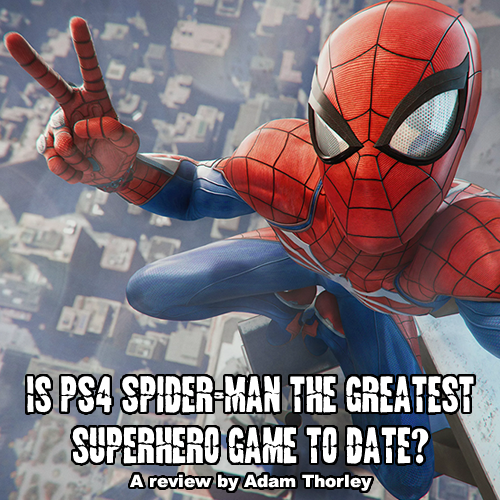 Is PS4 Spider-Man the greatest superhero game ever? Superhero films are inescapable at the moment. The box office is dominated by them. 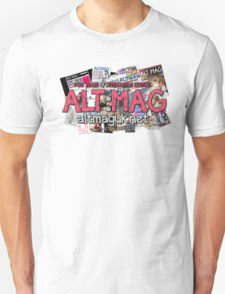 Merchandise and advertisements are everywhere. You almost certainly won’t see an ‘Anticipated Movies of 2019’ list without seeing Avengers: Endgame on it. We are in what can only be described as ‘the golden age’ of comic book films. 2018 saw at least eight cinematic films, with 2019 showing no signs of slowing down. Marvel saw a box office return of nearly $3.4 billion dollars from Infinity War and Black Panther alone. But with the quality and variety on offer, is anyone complaining? Well, while we have been gifted with a lot of great super hero cinema, where are all the great video games? Understandably, getting the correct formula for super-success is a challenging one, with one of the main issues being around getting the ‘feel’ right. Why do you think we have never seen a good Superman game? On top of this, how far can a studio strafe from the rules of the character's lore, whilst using their own imagination to create an enthralling story? After seeing the Bat-Signal clearly in the sky, Rocksteady came out of nowhere and surprised the world. Arkham Asylum was an incredible experience and cemented in the ground the blueprint for making a great superhero game. With a detailed world, tons of easter eggs, and an incredible story filled with characters spanning the comic's history, fans could not get enough. But most importantly, Rocksteady did the thing many other developers had failed to do: they made you feel like you were Batman. Whether it’s KO’ing enemies with a satisfying BANG; lurking in the shadows waiting for the perfect striking opportunity, or using your detective skills to solve puzzles, it was clear that the talented developers understood the character. In my view, they had created the best superhero game to date. 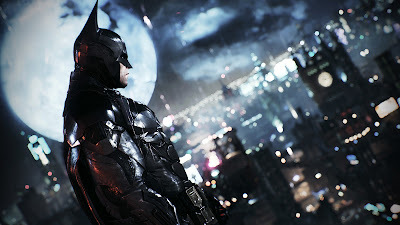 The Arkham games proved to the world that good superhero games are possible. 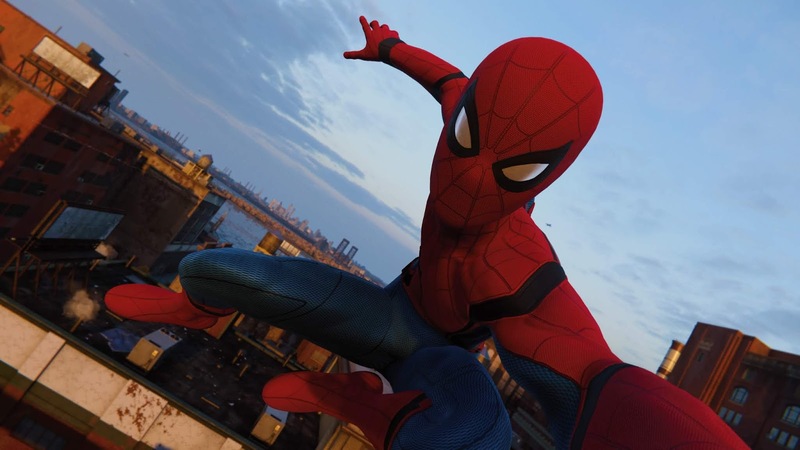 With Spider-Man being arguably Marvel’s most popular character, it was understandable that they would be desperate for a hit game of their own. Not since Treyarch's Spider-Man 2 from 2004 have fans got the game they deserved. Beenox and Activision's final attempt with The Amazing Spider-Man 2’s film tie in was weak, and so Insomniac were handed the reigns. At E3 2016, their game was finally unveiled, and with that expectations shot through the roof. Insomniac games are an incredibly talented developer. Boasting a portfolio featuring (but not limited to) the original Spyro the Dragon Trilogy; Ratchet and Clank; Resistance; and the criminally underplayed Sunset Overdrive, it’s clear that this is a very talented studio. With colourful level design, mind-boggling gadgets and weapons, and lovable characters, Insomniac have created a world of experiences throughout many years of our lives. So could they live up to the hype, and create the ‘Arkham of Spider-Man games’, and even top it? Releasing in September 2018 and receiving strong critical praise, it was clear they have done just that and more. Opening with a battle against the enormous Kingpin, you are quickly taught the basics of the game, and it’s from here the fun truly begins. 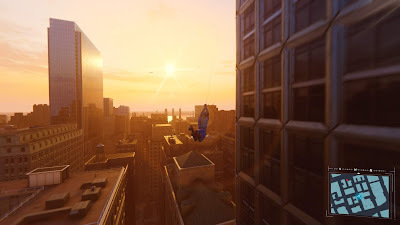 Insomniac have nailed the feel of being Spider-Man. Combat, like in the Arkham games, is incredibly satisfying, with lots of variety in the gameplay. Whether faced with a hoard of enemies, taking the stealth approach, or sitting back and letting your gadgets do the work, there are multiple ways to take on most situations. And it's with the gadgets that Insomniac's imagination is let loose. Web swinging through New York is incredibly fun. Featuring a choice of 8 different weapons in your arsenal, the choice is all yours on how you inflict pain on the thugs ahead. From Spider-Drones to electrified web, there is plenty on offer here. 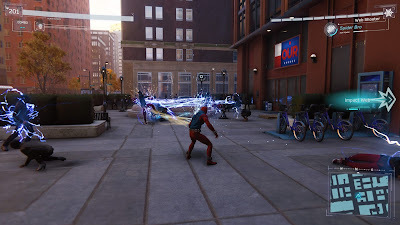 The suits also have their own abilities, spanning from increased damage to the more adventurous holo-decoys or Spider-Bro’s. The selection and ability to truly enjoy yourself sets the tone for Spider-Man. Peter Parker is a character who loves what he does: getting the player to feel this too is vital to the game being a success. Controlling Spider-Man is pure perfection. 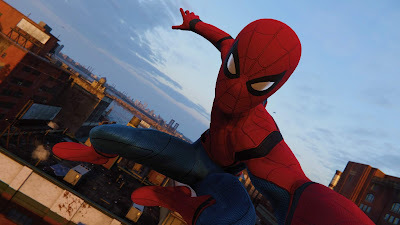 When web-swinging through the city, it’s easy to lose track of time, whether you’re stopping crimes, enjoying the odd high-five with the citizens below, or simply taking in the views of the beautifully crafted New York. The soundtrack is exceptional and really adds to the feel of being Peter Parker. A very Marvel Cinematic theme follows you as you glide through the skies, creating an immense feeling of power and enjoyment. If you ever wanted to unleash your inner child and feel like a superhero, then this is the game for you. Insomniac really nail the 'feel' of Spider-Man. Insomniac were given control to create their own world and narrative, and you soon learn that this is not the same story you’ve seen countless times before. Thankfully skipping the origin story we’ve seen so many times before, we find a 23-year-old Peter Parker, balancing life as Spider-Man, working a job and trying to balance a social life. I was hooked: clearly a lot has happened in the years Peter has been Spider-Man, and I wanted to know more. On top of this, there are hordes of villains hell-bent on bringing New York to its knees, who create mystery and add intensity to the story. Despite taking on the Kingpin and Mr Negative, it’s clear something much more sinister is afoot. With shocks, horrors, and many twists and turns, this is one of the best Spidey stories we’ve seen outside of the comics in years, second only to the brilliant Spider-Man: Into the Spider-Verse. If that wasn’t enough, this game also contains one of the greatest video game cameos of all time. Aside from the main story, Spider-Man is bursting with things to do, with no shortage of fan service and Easter eggs on offer. Whether it’s the story expanding collectable backpacks, iconic Marvel landscapes for you to snap, or characters such as Black Cat teasing you to find them, you will never find yourself out of things to do. 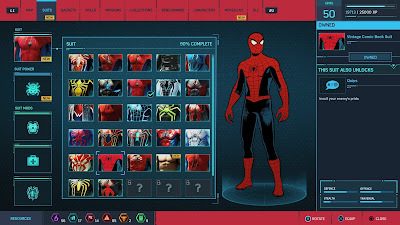 To top off your hard work in completing the collectables and side missions, you are rewarded with some incredible suits, referencing the past movies and comics. It’s worth roaming the skies just to hear J. Jonah Jameson's hilarious podcast rants, about how Spider-Man is the cause of all of life’s problems. There is a whole range of fan service on offer here. The game appears to have reignited the completionist in people, with nearly 10% of players having obtained the platinum trophy at the time of writing (myself included). Trying to obtain a platinum trophy can sometimes be tedious, and post-game there is a lot of cleaning up to be done. However, I never found myself bored, and on hitting the 100% completion mark, I couldn’t help but want more. Sure, Spider-Man suffers ever so slightly will a lull in pace, namely the Mary Jane sections, or the Peter Parker laboratory tasks. But I see these as an opportunity to learn more about the world and characters. Mary-Jane, for example, is no longer reliant on Spider-Man, determined to take matters into her own hands and expose the truth, no matter the cost. 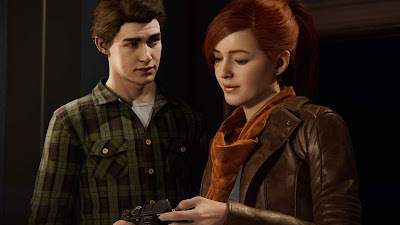 The brilliant Laura Bailey brings personality to the character, portraying my favourite iteration of Mary-Jane Watson so far. Experiencing events from another point of view certainly adds to the story. Yuri Lowenthal and Laura Bailey are fantastic as Peter and MJ. Spider-Man truly is an incredible game and in my view one of the best on PS4. With sales topping 9 million already (a huge feat for an exclusive game), and sitting on an 87 score on Metacritic, it’s clear that many are loving Insomniac's creation. But is it the greatest superhero game to date? While the Batman: Arkham Trilogy is undeniably brilliant, and a series I look forward to revisiting in the future, Spider-Man for me takes home the crown. While both games feature brilliant stories and really nail the feel of being each character, Spider-Man is a more overall enjoyable experience. I don’t think I’ve had as much fun with a video game in years. Swinging around the beautifully detailed New York is an absolute joy, the intense story keeps you hooked, and the collectables feel incredibly rewarding. Topped off with a brilliant cast of characters, this is a world you won’t want to leave. I can’t wait to see where Insomniac takes the story next.